With more than 140 classical, pops, family and educational performances each season, the Virginia Symphony has time and again been recognized for its national caliber of excellence. 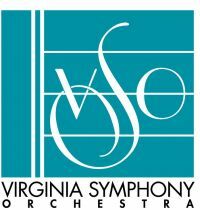 Hampton Roads has the unique distinction of serving as home to the acclaimed orchestra, which includes over 70 professional musicians and over 60 glorious voices in the Virginia Symphony Chorus. Performances in Norfolk are at Chrysler Hall.